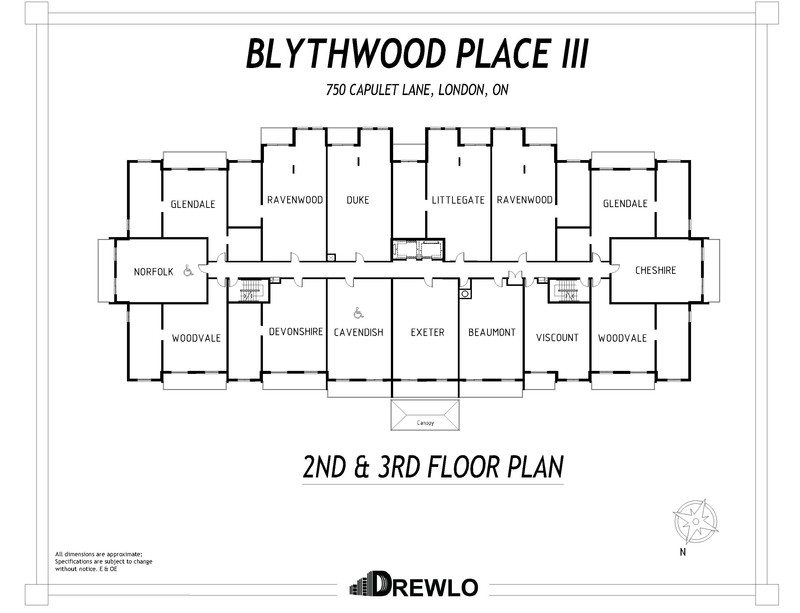 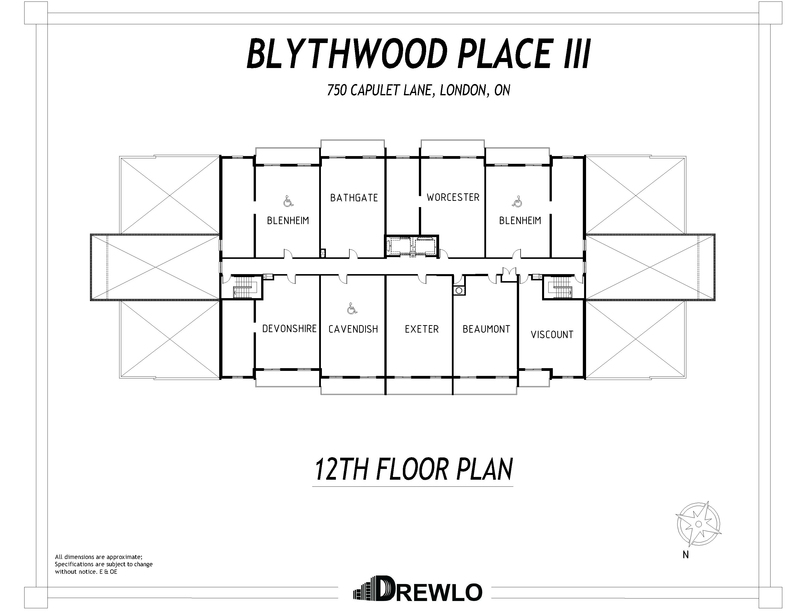 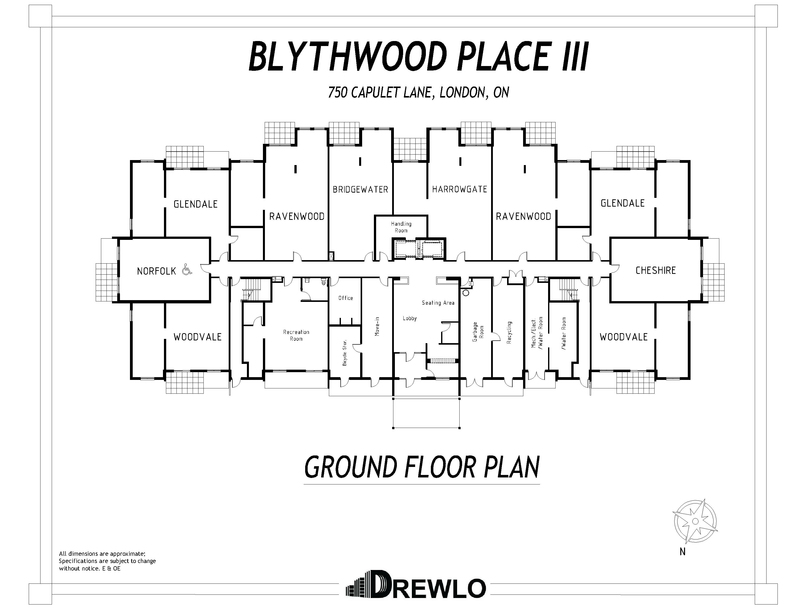 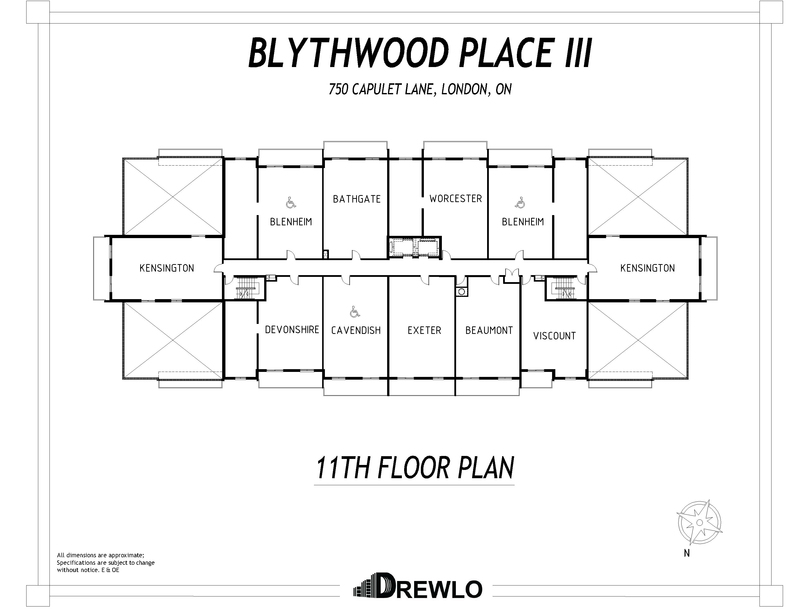 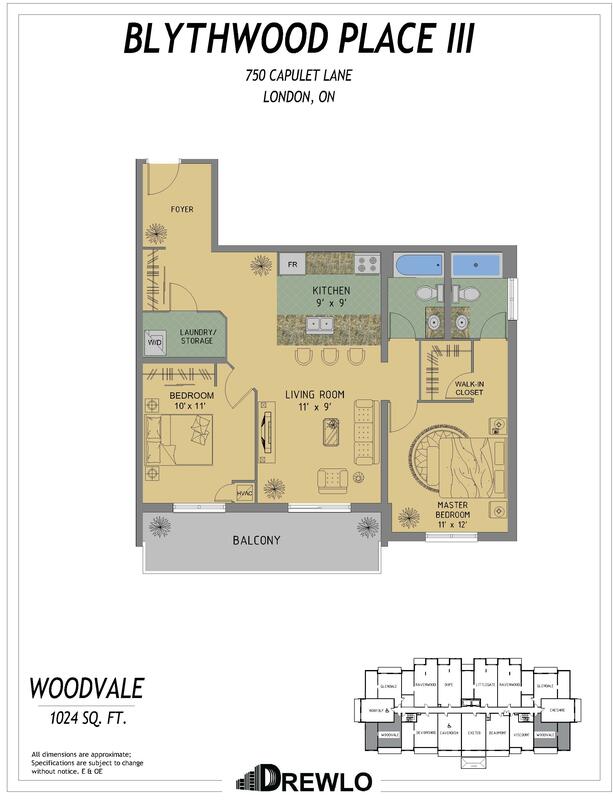 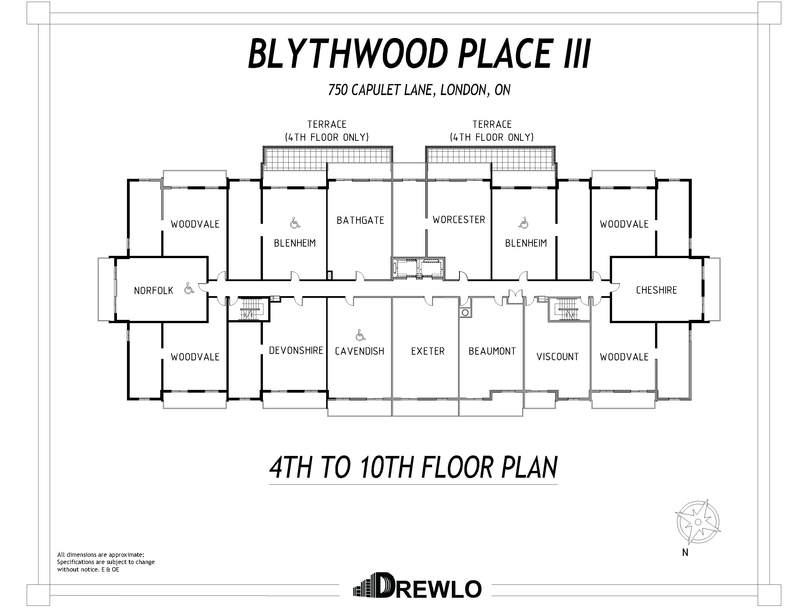 Blythwood Place III, is a conveniently located London Ontario Rental Apartment in the growing North-West end. 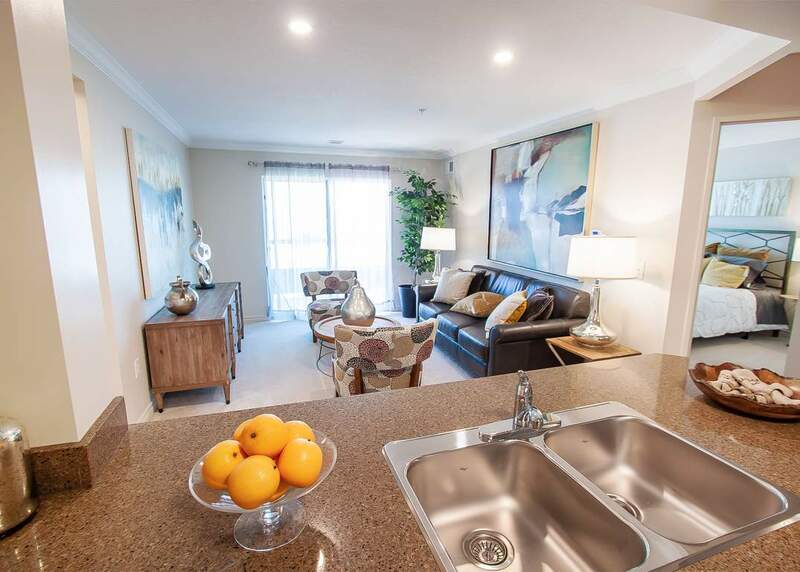 Suites feature luxury touches and amenities. 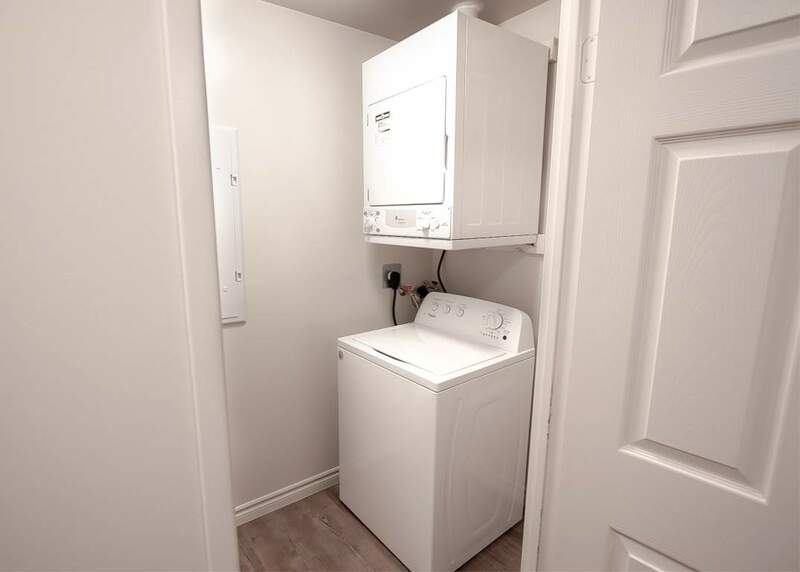 Save time when everything you need is within walking distance! 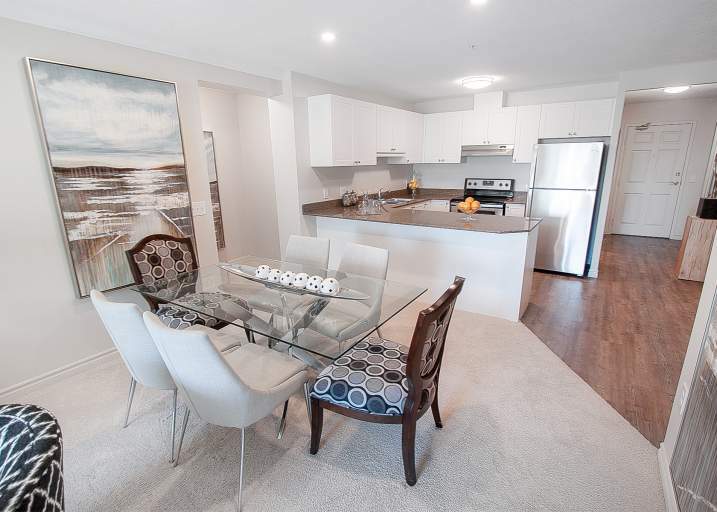 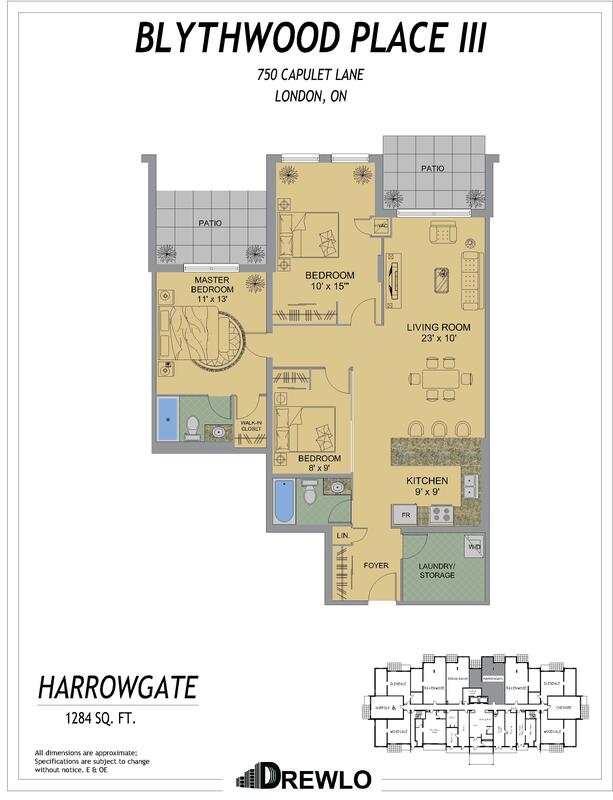 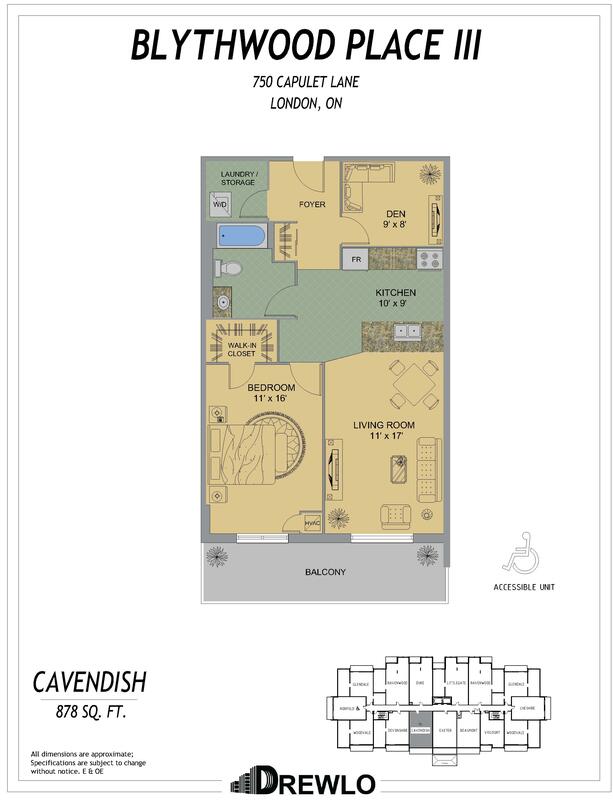 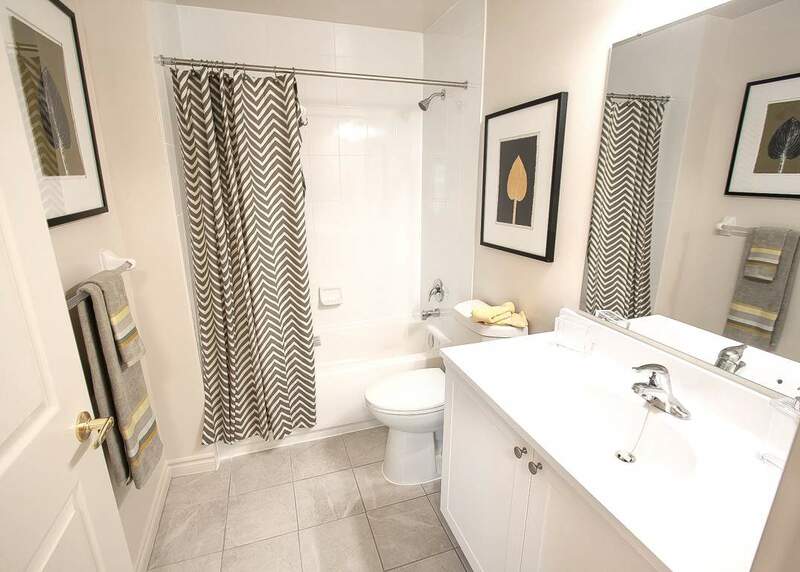 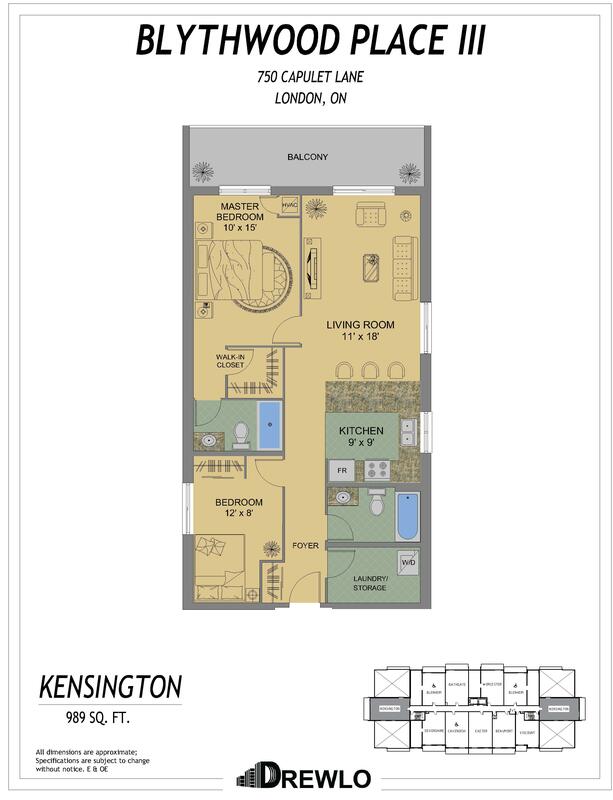 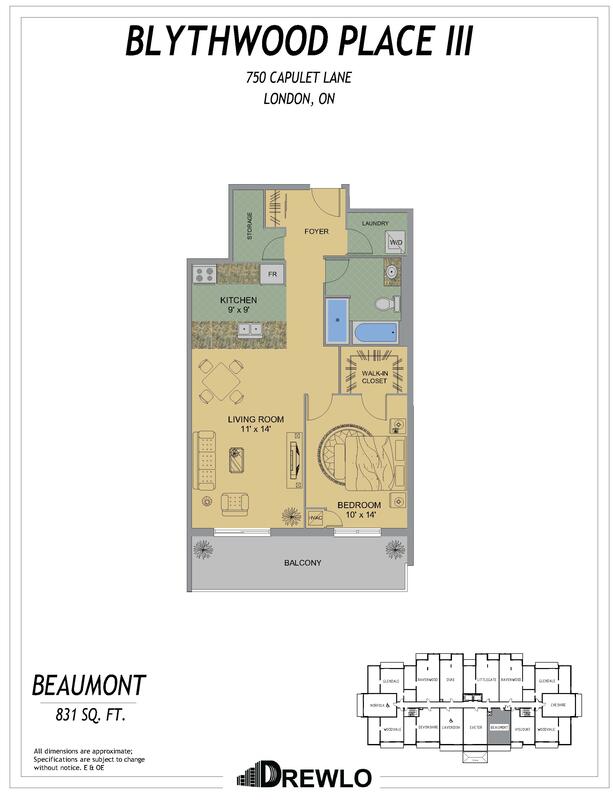 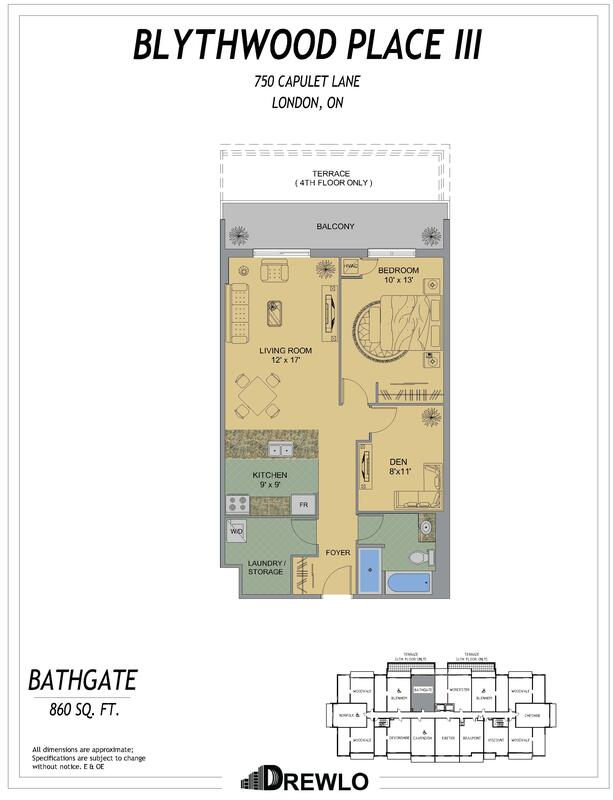 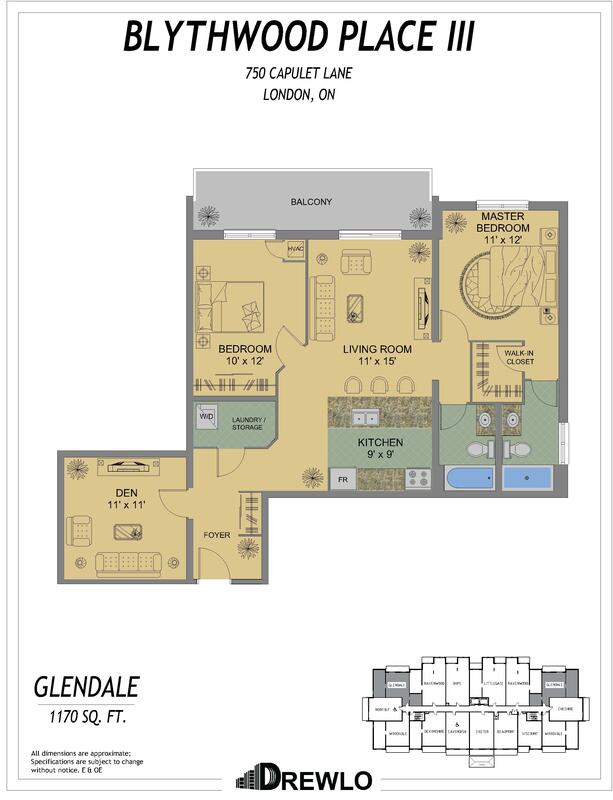 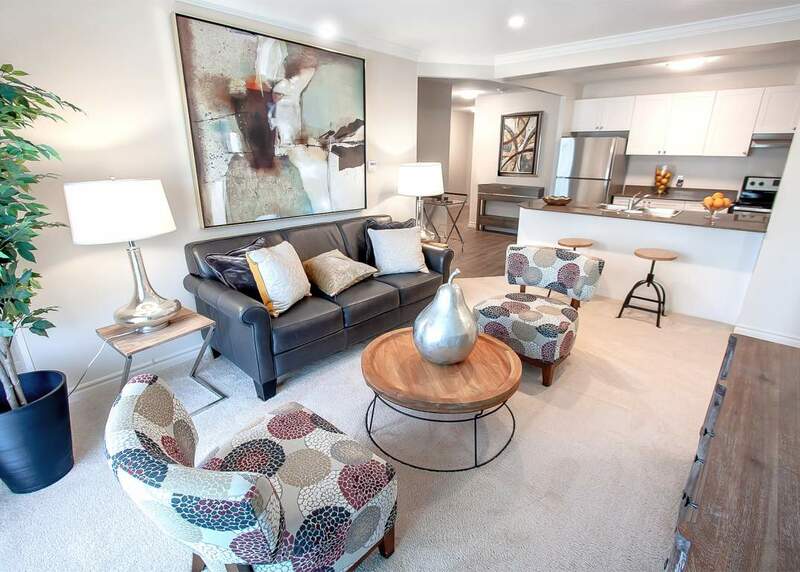 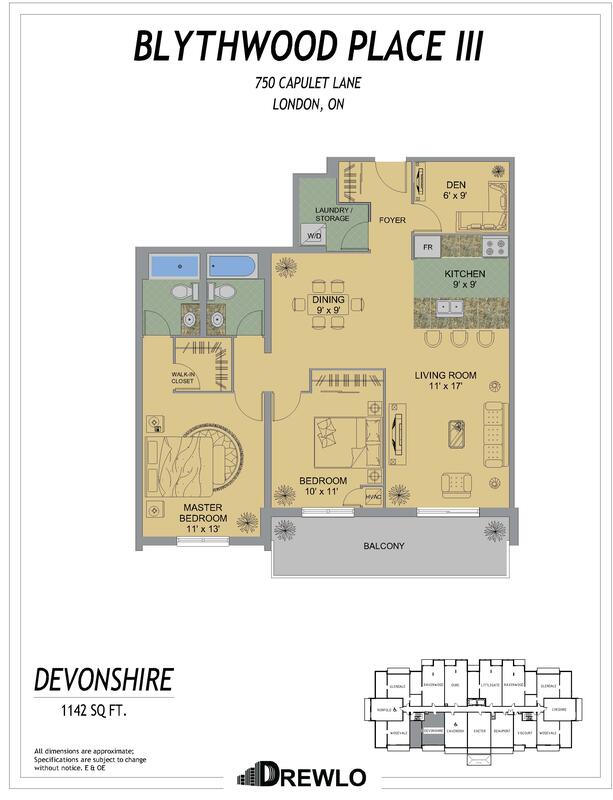 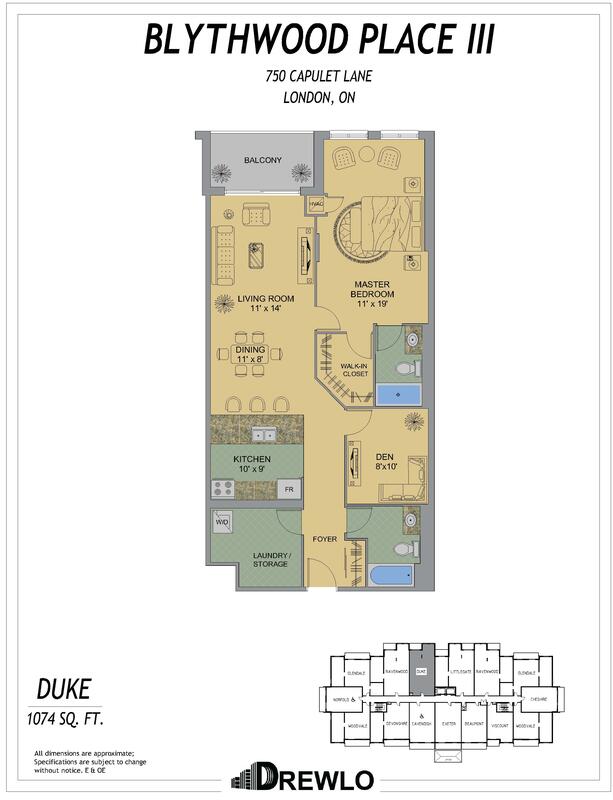 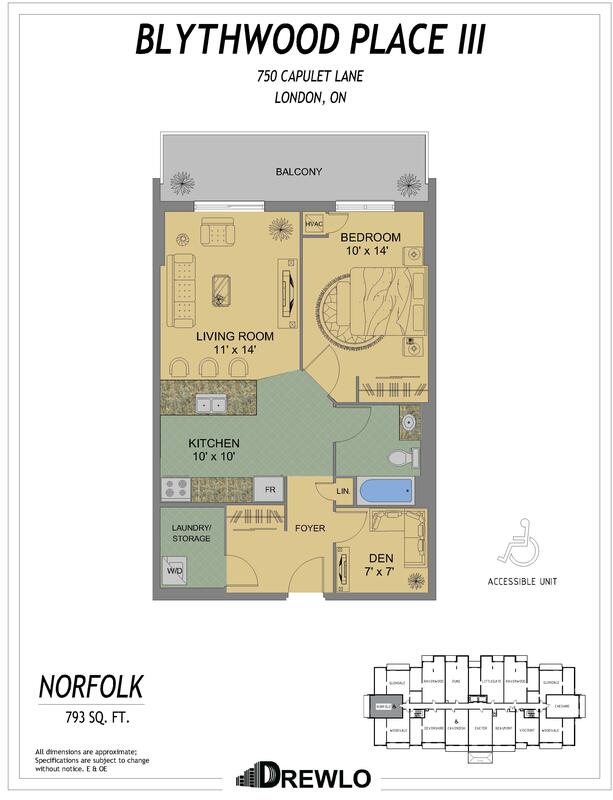 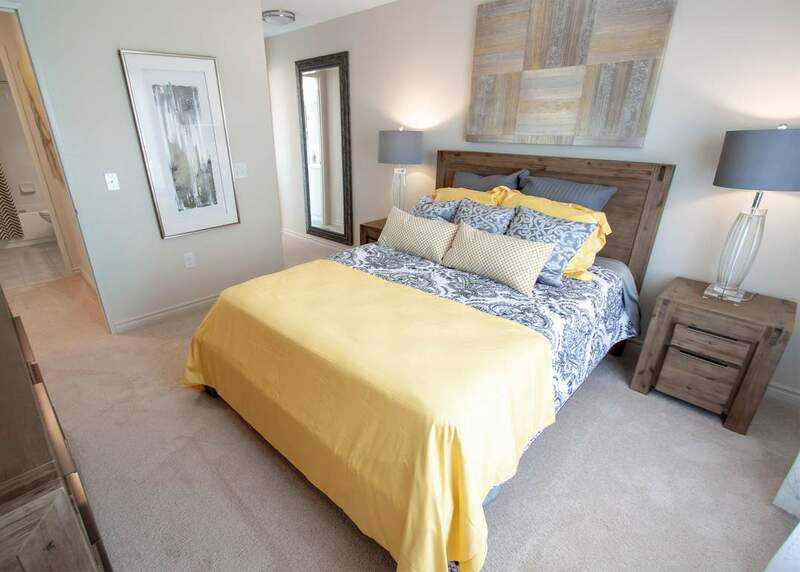 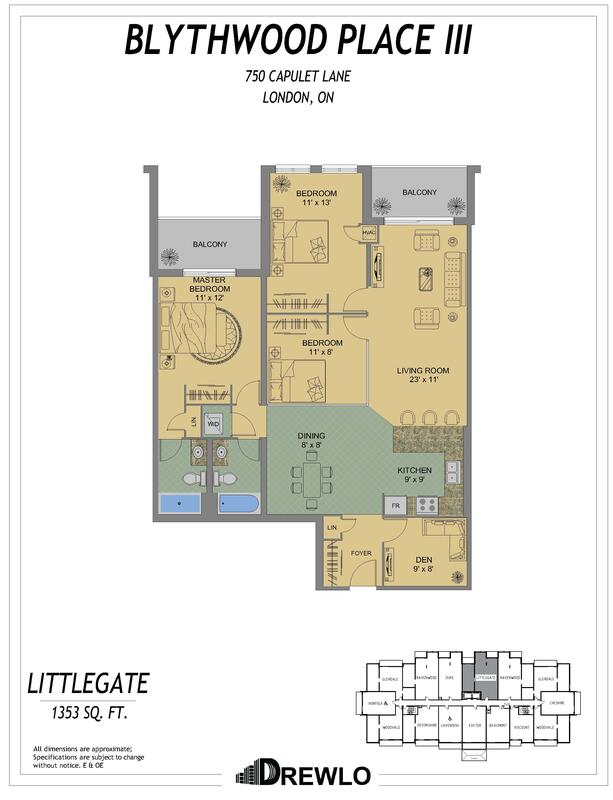 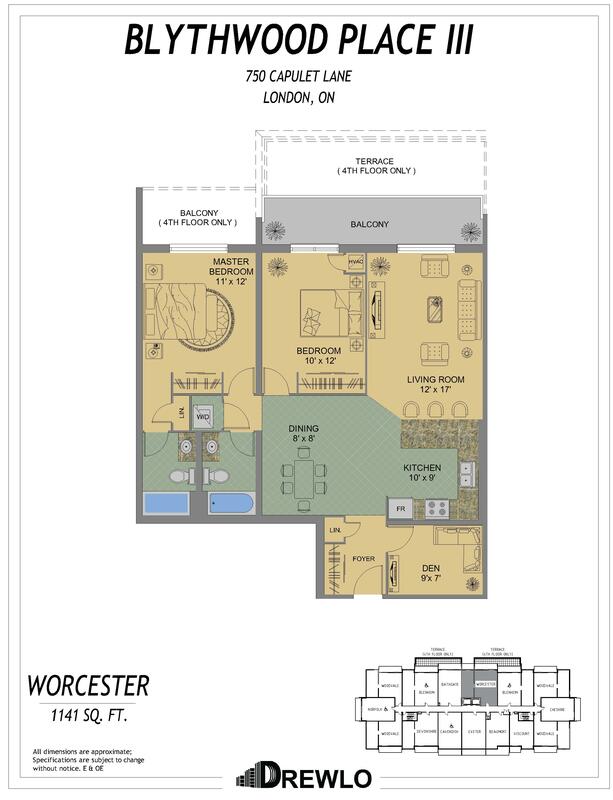 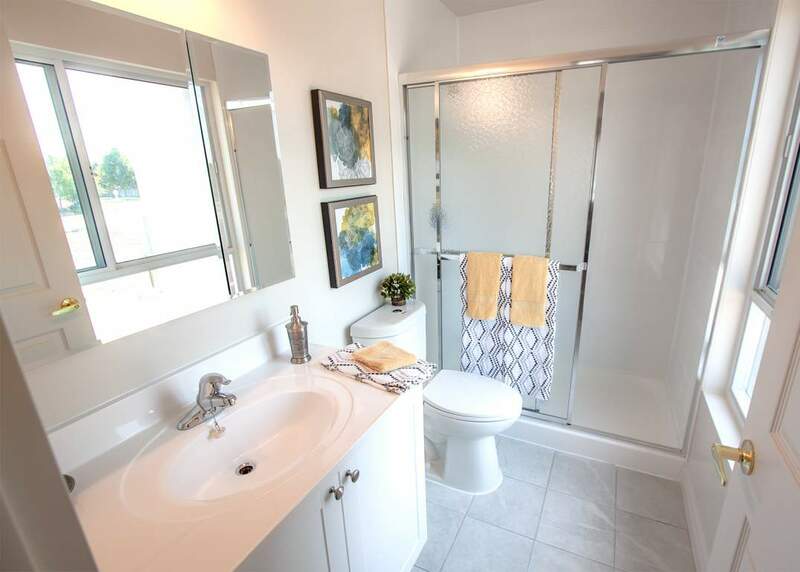 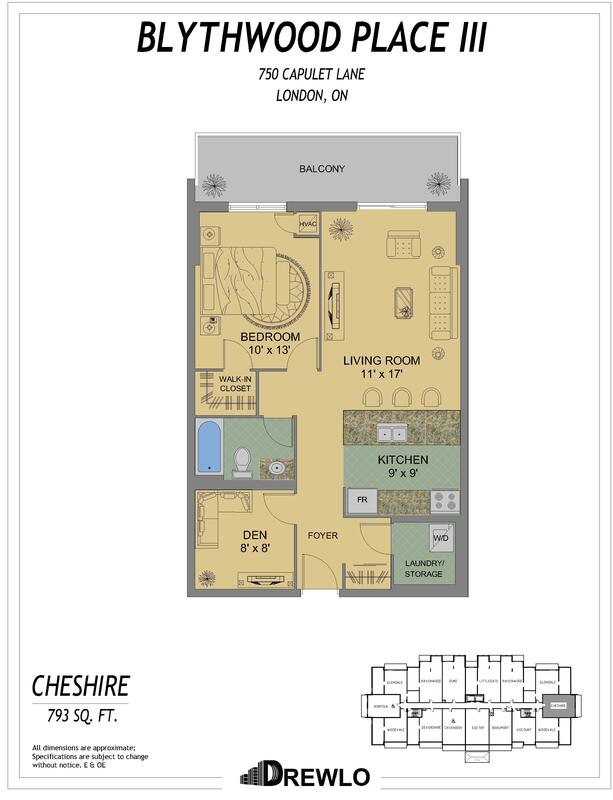 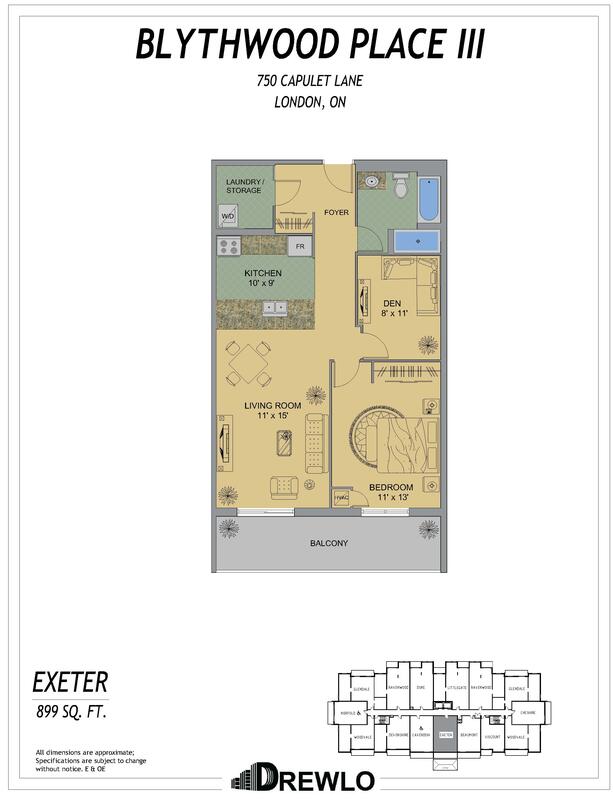 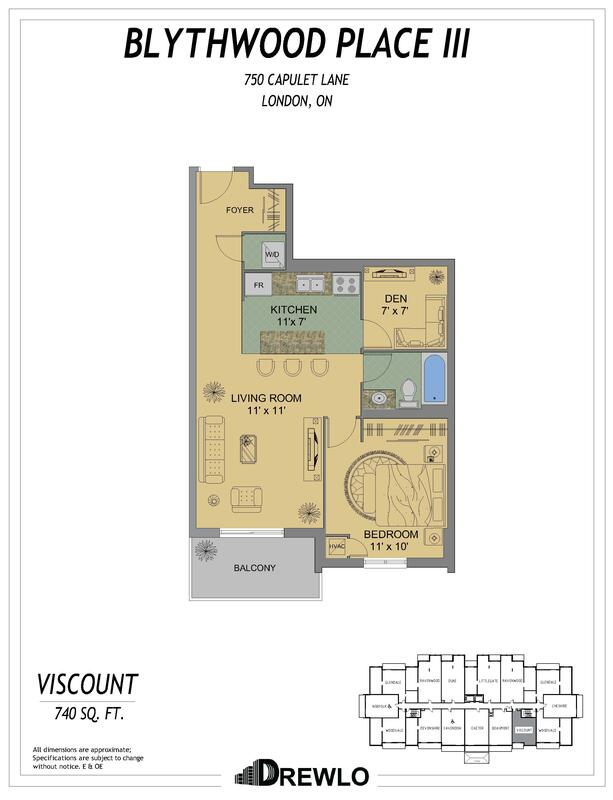 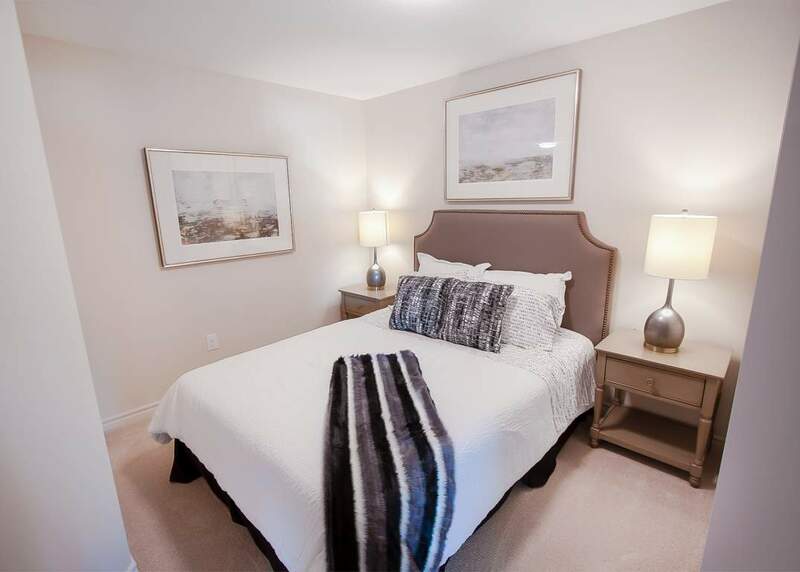 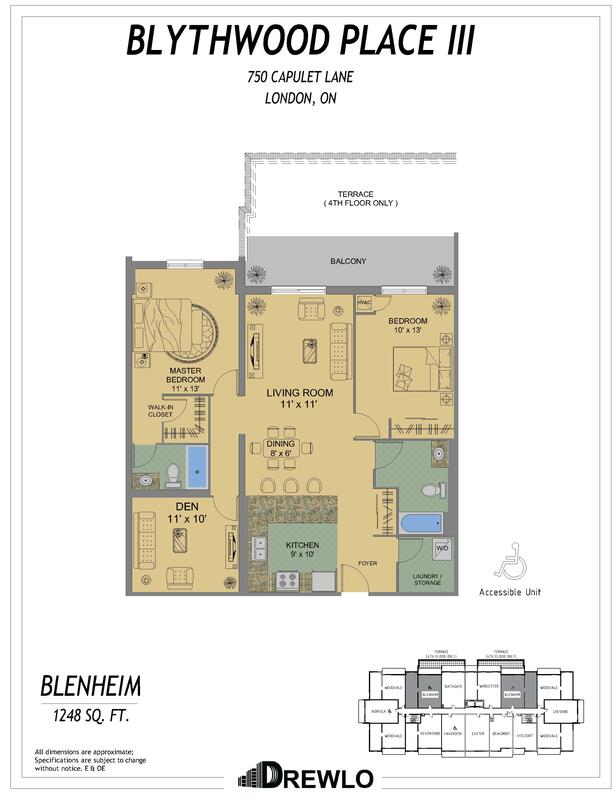 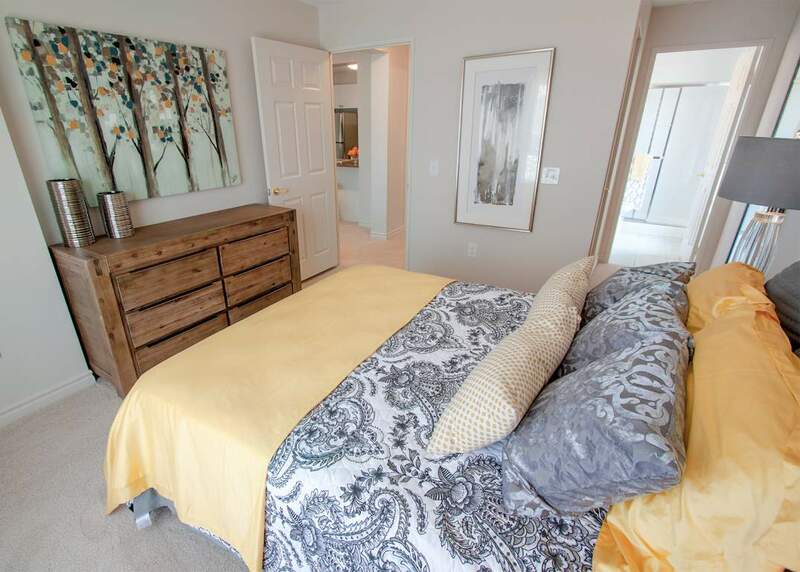 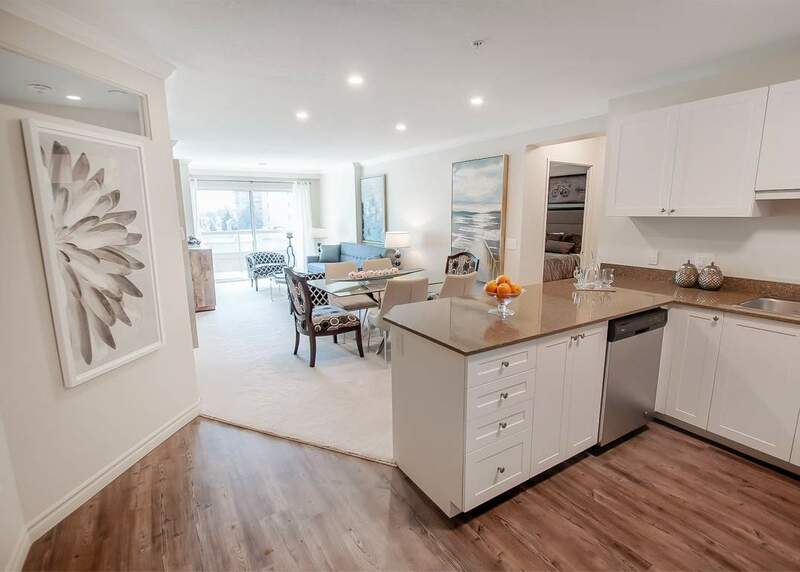 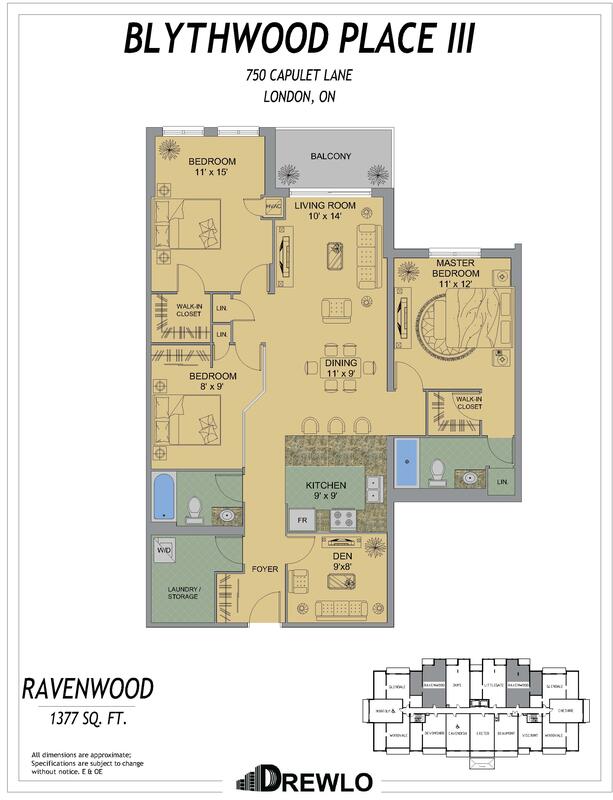 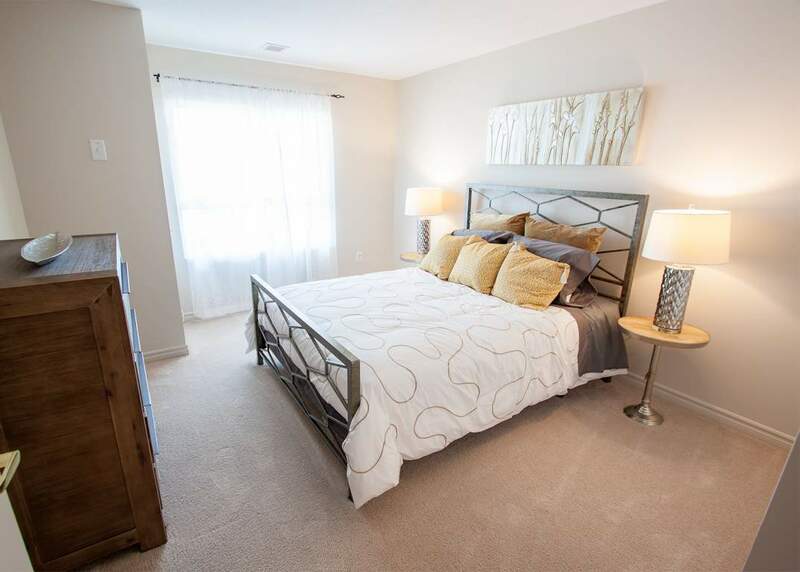 Enjoy this beautiful London Ontario Rental Apartment's upscale finishes which includes spacious eat-in kitchens with durable quartz countertops, newer dishwashers, beautiful crown moulding in the living and dining rooms, bedroom walk-in closets, and laundry machines right in your suite! 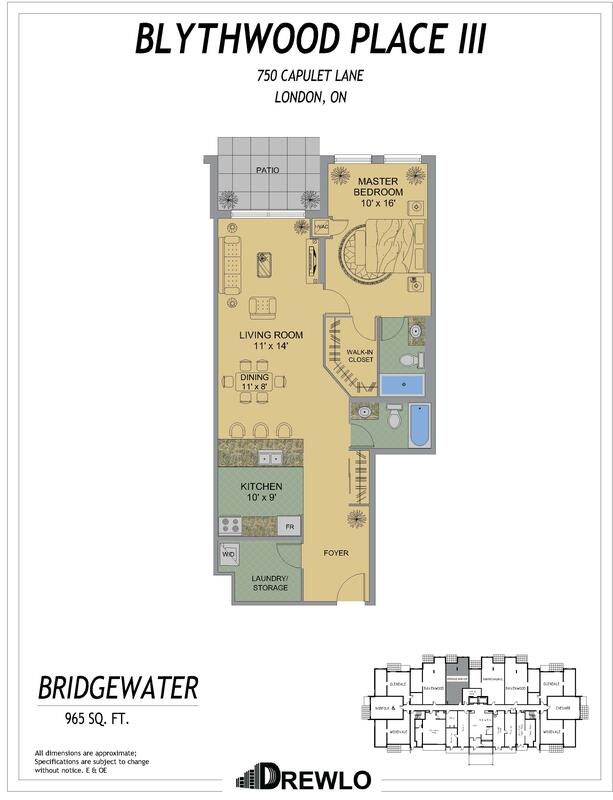 Building amenities will include a large indoor saltwater pool, whirlpool, dry sauna and up to date fitness room.